There is no question that Intel's latest X299 platform is built for HEDT use, yet not every such board has all the high-end features you'd expect out of a HEDT product. 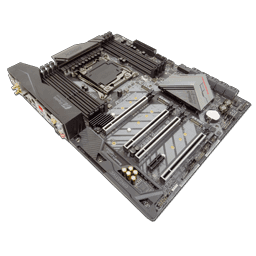 Today's motherboard, the ASRock X299 Gaming i9, however, is most definitely equipped with a huge whack of high-end features and abilities, including AQUANTIA 10G LAN so you can get your downloads faster than ever before. This is our third 2017 HEDT motherboard review. 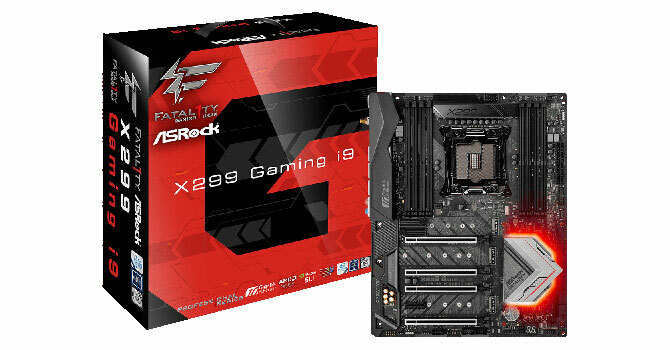 The first was a pre-release product, the second a retail product, and this third one, the ASRock X299 Gaming i9, is also a retail version, and now that some time has passed since the platform's launch, it has seen a BIOS update or two as well and should, as such, be ready to rock your socks off while you either play your games or get your work done, or whatever else you want to do - this board is ready. HEDT boards aren't for everyone you might think, but this is a board that dares to challenge that idea. It's not often you see both gaming and professional use all tied into one. Starting with the AQUANTIA 10G LAN controller, you can add in dual Intel LAN controllers, support for Tri-SLI, a 13-phase digital VRM design with 65A power chokes capable of pushing 1300W, Sound Blaster Cinema 3 audio support, and a 600-ohm capable headphone amp and triplet of 32 Gb/s M.2 ports. This thing just OOZES high-end all around, and for all you RGB LED haters out there, has a very minimalist approach to its LED implementation to soothe your senses.